^ "Acting in accordance with the constitution". Regierungonline. 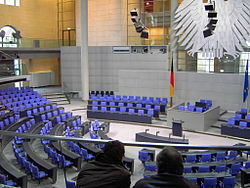 The Press and Information Office of the Federal Government of Germany. Retrieved 2010-03-09.